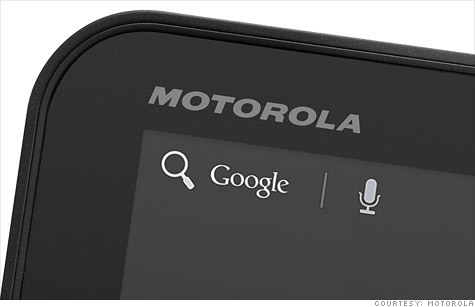 Monday, it was announced that Google has come to terms on a deal to purchase Motorola Mobility. The price tag on the deal is the biggest that Google has ever agreed to, 12.5 billion dollars. Google already works with Android to compete against Apple and the iPhone, as well as the iPad. With a partnership with Motorola, Google feels that it would be able to pose a bigger fight against the iPhone and iPad. In addition, the partnership is hopefully going to help Google further surpass BlackBerry and Microsoft phones in the smartphone market as well. Motorola Mobility is the oldest player in the cell phone game. The company has been around for over eighty years and the company introduced the first cell phone three decades ago. One of the reasons Google wanted to acquire Motorola is that the company has approximately 17,000 patents and Google is constantly being sued by Apple, Microsoft, and other companies for patent reasons. The acquisition would protect Google from having to deal with so many patent lawsuits. It is unclear whether Motorola can truly make the Google share of the smartphone market any larger, but with the patents and the technology acquired, Google is sure to increase its fight by a large degree.